Ranthambore is the place where the Maharajas spent their time in hunting is now converted into a Tiger reserve and the National Park. This 2 nights 3-day private tour to Ranthambore from Jaipur gives you the chance to explore the wildlife along with Ranthambore Fort. Delve into the history and influence of Ganesha Temple. Explore the glorious Ranthambore Fort. Transfer Service through an air-conditioned vehicle. 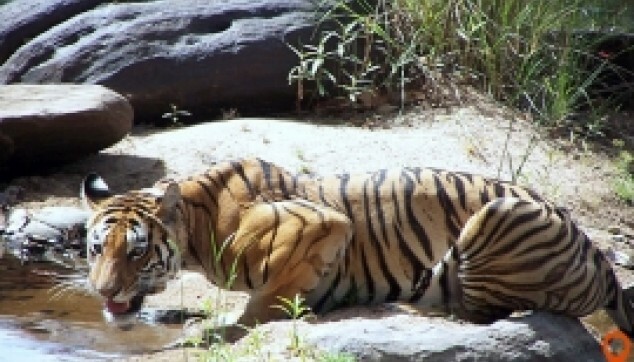 Enjoy the wildlife safari in Ranthambore National Park. Our chauffeur will pick you up from the Jaipur hotel/ Airport/Railway Station (prefer time at between 9- 12 noon) and proceed for the Ranthambore tour package. After a drive of around 4 hours, you will be reached to your destination hotel in Ranthambore. After check-in, the evening is free for your own activity and enjoy resorts activity. Later, enjoy dinner and night stay in the hotel. Early in the morning at around 6:00 am, our chauffeur will take you to enjoy the Jeep Safari in Ranthambore National Park. Ranthambore is a wildlife reserve located near Sawai Madhopur, it is the place where the kings of Jaipur comes to hunting. 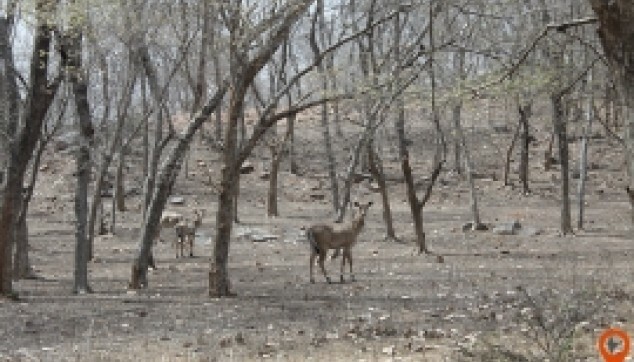 Ranthambore has numerous wild animals, birds, and flora. After a 3:30 hours of Ranthambore tour, our driver will drop you back to the hotel. After having a palatable breakfast and freshen up, our chauffeur along with local guide take you to visit Ranthambore Fort one of the Hill forts of Rajasthan built by the Chauhan Rajput in 944 CE. Your next stopover is Trinetra Ganesh Temple one of the oldest temples of Lord Ganesha in Rajasthan. Later, we will drop you back to the hotel for overnight stay and dinner. In the morning after breakfast, our chauffeur will drop you back to the Jaipur hotel/ Airport/ Railway Station. 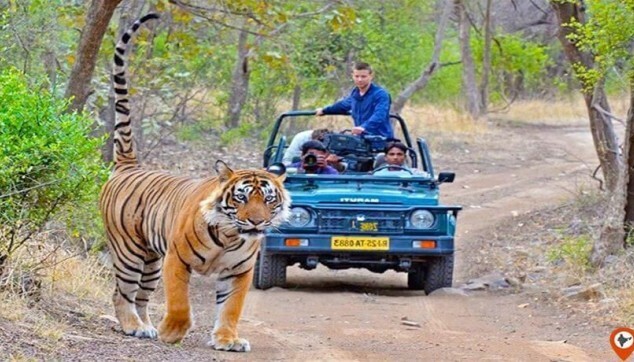 Sightseeing with English speaking tour guide in Ranthambore. Two Nights Hotel Accommodation in good 3- 4 Stars categories Hotel. Daily breakfast and dinner in all Hotels. Entry Fee of Ranthambore Fort. Entrée Fee of Ranthambore National Park. Shared Jeep Safari in Ranthambore National Park. Jeep Ride for Fort Visit. Jaipur – Ranthambore – Jaipur by Private air condition Car. All arrangements made by India Tour Packages-through Sunil and Rahul exceeded our expectations.All hotels were fitted very well to our needs.We especially liked the imperial in Delhi. The driver that was sent to pick us from delhi was very polite and friendly and have deliver very good services. It was nice to see 2 tigers at Ranthambore. We intend using Indiator, whenever we plan our next trip.